Capital Credit Union Park under construction, March 2019. 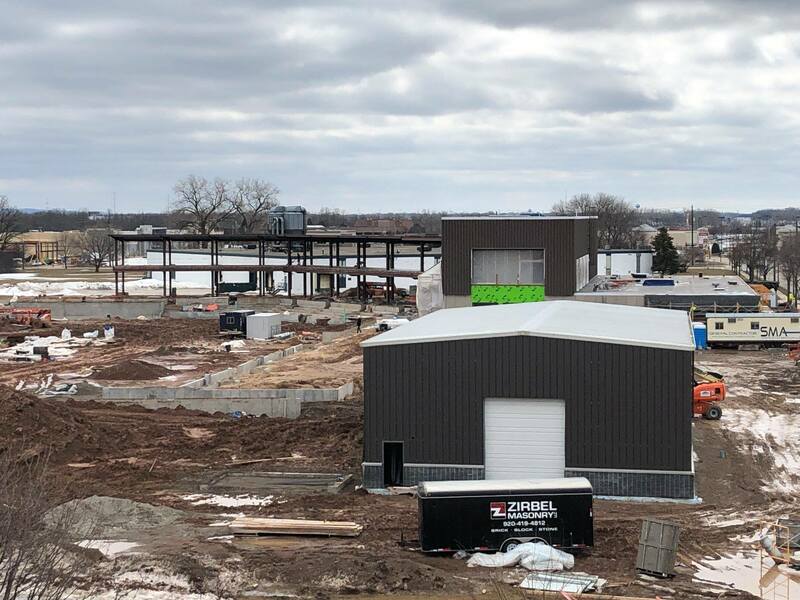 ASHWAUBENON — Construction on Capital Credit Union Park continues and should be ready for its first soccer game May 31 and the Green Bay Booyah home opener June 1, according to a post today on the village’s Facebook page. The new stadium will be located at 2231 Holmgren Way and will host baseball, soccer, and additional community events. Capital Credit Union Park will have a capacity of 3,359 for athletic events, 7,000+ for concerts and community events and will feature club and suite space for up to 300 guests, according to a team news release. Capital Credit Union Park reuses the old CTI Concrete building, a 17,000 square foot warehouse, located on the site prior to the village purchasing the land earlier this year. The existing building will be renovated and will include a team store, concessions, restrooms, suites, a club space, locker rooms, team office and a hotel lobby style ticket office.